Previously, in part 1 of this blog, I looked at the potential effect and implications of federally rescheduling marijuana on insurance and access. 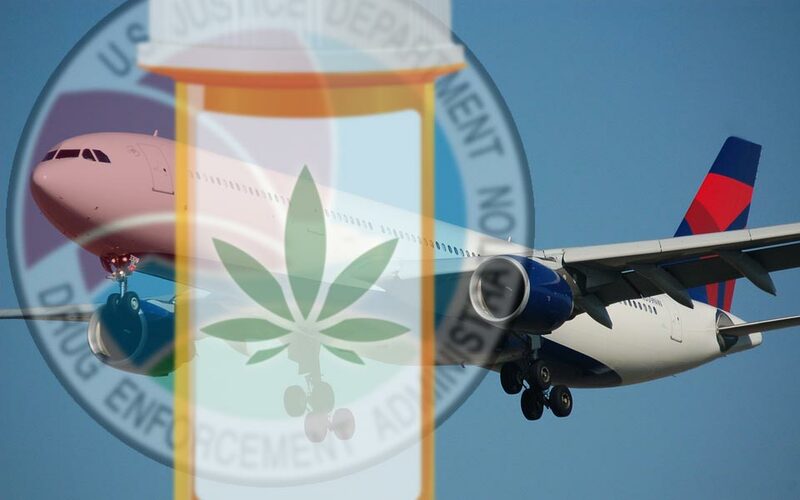 Part 2 will examine what federal rescheduling could mean for domestic and international travel, and what challenges travelers might face when bringing their medicinal cannabis on the trip. Domestic travel, at least on the surface, doesn’t appear to be an issue if cannabis is federally rescheduled and a national medical marijuana law is put into place. Except for one thing. If marijuana is rescheduled, what is it most likely to be rescheduled as? The answer is schedule 2. As such, it would be treated as a traditional medication and require a physician’s prescription, instead of a recommendation, which would need to be filled by a pharmacy, not a dispensary. So how does this relate to domestic travel? A patient would be able to travel freely between states with their medication, and have their prescription filled if needed within the state traveled to. However, that medical marijuana medication would need follow the same laws of access, including proof of prescription, and be clearly labeled like traditional pharmaceuticals. Further, when storing or transporting that medical marijuana, it cannot be commingled and must be individually packaged like other prescribed medications. Basically, the same requirements for and equal treatment of medicinal cannabis and traditional medications, a very good thing in my opinion. International travel could be a different story depending on airline and airport policies, as well as the laws of the place traveled to and from. The good news is that if cannabis is rescheduled and a national medical marijuana law is enacted, it most likely wouldn’t be. International treaties allow patients to travel abroad with their traditional medications as long as he or she can prove a prescription is actually theirs, and that it’s clearly labeled and appropriately packaged. If a national medical marijuana law and rescheduling happens, then medicinal cannabis would have to follow the same rules and be afforded the same rights as traditional medications when traveling abroad. Sounds familiar? So if medical marijuana is rescheduled, and done so as expected to schedule 2, then patients traveling domestically and/or internationally with their cannabis medication would have the same rights and subject to the same responsibilities as those traveling with traditional medications. In this author’s opinion, having to follow the same rules would be a great move to push forward the treatment of medical marijuana as traditional medications, and a national medical marijuana law would make this happen.